Iran’s foreign ministry has condemned the re-imposition of US sanctions on the Islamic Republic, hailing a joint statement released Friday by the EU, France, Germany, and the UK in support of Iran. In its Saturday statement, the Iranian Foreign Ministry added that the administration of US President Donald Trump poses a threat to humanity and the whole world, and committed and responsible governments in the world should join hands to tackle the threats posed by this regime. Continuing its breaches of the law and blatant bullying, the [US President Donald] Trump regime yesterday announced the end of the so-called six-month grace period for the full implementation of the sanctions this regime re-imposed on our country on May 8 after illegally withdrawing from the JCPOA (the Iran nuclear deal also known as the Joint Comprehensive Plan of Action). Although the move will, objectively and practically, have few negative consequences for Iran’s economy compared with the past six months, it is regarded as a major political and moral scandal for the ruling US regime. This move alone amounts to a violation of the JCPOA, breach of the UN Security Council resolution , violation of the ruling of the International Court of Justice (ICC), direct opposite to the clear will of an overwhelming majority of world countries, and disregard for human, legal and moral principles. The move also once again showed to all members of the international community, especially the countries which are “allies” and “partners” of the United States, that this government not only does not care about international regulations and norms, but also punishes other law-abiding countries for remaining committed to international commitments and regulations, and these countries include countries that are friends and allies of the US, countries whose companies and banks happen to be affected by the recent sanctions. The US also showed that even a major and powerful military and economic power may lack political independence and yield to some foreign regimes’ demands in adopting and implementing its foreign policy. It is not clear what is going on in the United States’ foreign policy arena as the statesmen of this country learn no lessons from the inappropriate experiences of their predecessors and it seems that every single president of this country must repeat all the previous wrong policies to achieve the same unpleasant results and experience the inefficiency of wrong approaches first-hand. In his speech on Friday, the secretary of state of the Trump regime spoke of “maximum pressure” on Iran and at the same time expressed pleasure over the effectiveness of these pressures on Iran’s economy and the lives of Iranian people. Using the most unprofessional and most childish words, he tried to create the impression that those pressures are not directed towards Iranian people. Over the past four decades, the predecessors of Mr Trump have pulled no punches with regards to imposing pressure and showing inhumane behaviour towards Iran and Iranians, and hence, no tool for exerting further pressure is left for Mr Trump and his associates today. Various presidents of the US have numerous anti-Iran moves in their track record, from launching direct military attacks on a passenger plane and oil rigs of Iran to lending full support to the most despicable enemies of Iran, including Saddam Hussein, the hypocrites and other terrorist, secessionist and racist groups, from the so-called “crippling” sanctions to the assassination of nuclear scientists. Although these pressures and animosities have, so far, inflicted much suffering on innocent people, children, patients and the vulnerable strata of Iran, they have failed to sap the will of these people to continue the path to independence and resistance to foreign pressure. 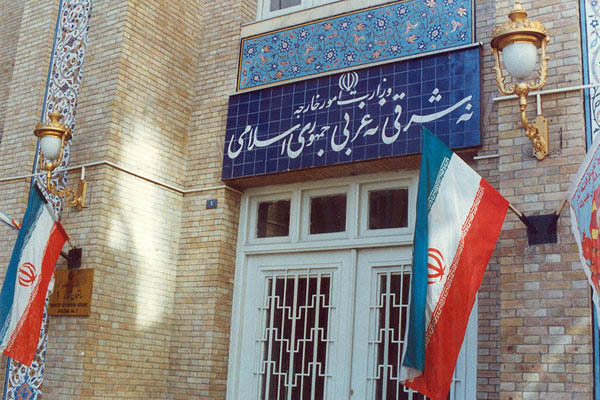 The Islamic Republic of Iran condemns the imposition of illegal sanctions by the US while welcoming a joint statement issued by Ms [Federica] Mogherini and foreign ministers and finance ministers of the three European countries as well as the statements released and positions adopted by the governments of Russia and China vis-à-vis the United States’ illegal move, and their commitment to maintaining financial channels with Iran and ensuring the continuation of Iran’s oil and gas exports, and regards these statements as a proper step on the right path. The progress made in executing the political commitments of these countries to ensure Iran’s economic interests has been welcomed by the Islamic Republic of Iran. Indubitably, the continuation of the existence of the JCPOA is contingent upon these measures going into force and being successful. When it comes to interaction and cooperation with other governments, Iran, as a strong and responsible player on the regional and international stage today, believes in multilateralism based on the principle of mutual respect and seeks a better future for the people of Iran, the West Asia region and the whole world. Iran strongly believes that in cooperation with friendly countries and with reliance on its domestic potential and international potentialities, it will be able to weather this challenge wisely and prudently and will not allow the Trump regime, which has stripped the US foreign policy of any principles, to achieve its illegitimate objectives. The Islamic Republic of Iran once again draws everybody’s attention to the dangers posed by this law-defying regime to humanity, the future generations of humans and human life on earth, and believes committed and responsible governments in the world should join hands to tackle the threats posed by this regime.